By Catherine on June 6, 2018 | Last Updated June 6, 2018 | Leave a Comment | Medical Disclaimer | This Post Contains Affiliate Links - I may receive a commission if you purchase through links in this post. 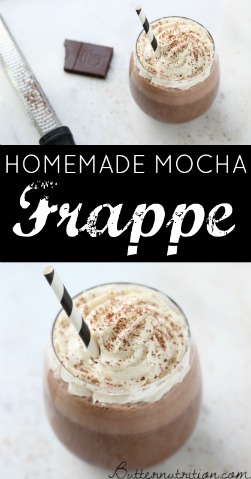 There is no better way to put all of my favorite things together in one glass than in this mocha frappe recipe! Cacao powder supplies a hefty source of magnesium, collagen provides anti-inflammatory protein, coconut milk supplies healthy fat, and coffee is, well, essential. Blend this up and you may find yourself dropping your daily Starbucks habit. Plus, enjoy getting a nutrient dense snack in a glass, as this covers all the bases – protein, carbohydrates and fat. While I make mine version with homemade coconut milk, you could of course make it with your own milk of choice. Blend until smooth, about 20-30 seconds. 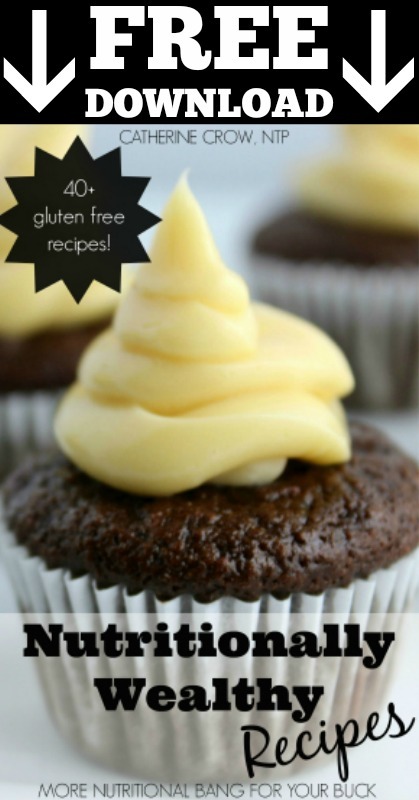 Top with your choice of whip cream and chocolate shavings if desired. 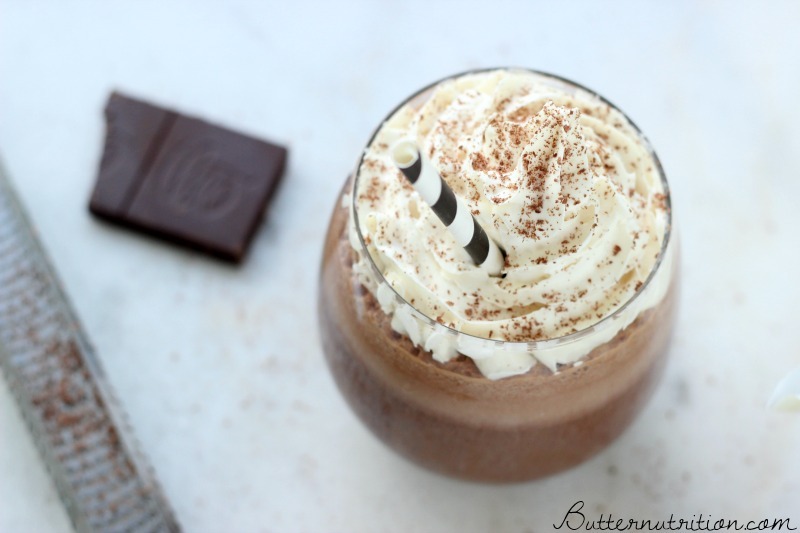 What’s your go-to coffee beverage? Please share in the comments!